When one amasses a decent collection of perfumes it is inevitable that hidden gems will get forgotten amongst the plentiful array of bottles. This is most certainly the case with me and my incredibly disorganised system of filing perfumes (in two boxes and numerous drawers around the house) means that I will often find myself discovering long-lost loves whilst in the midst of a decent rummaging session. 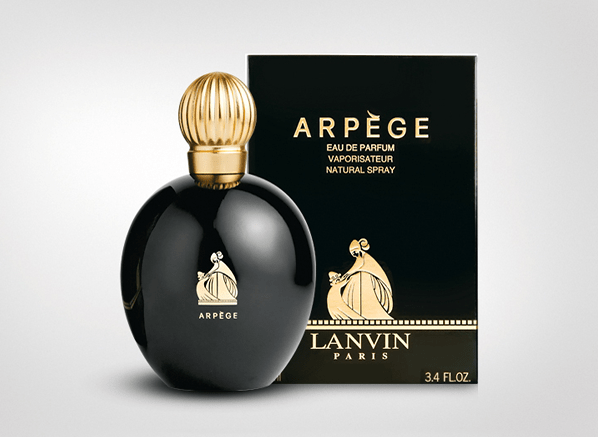 Lanvin’s wonderful Arpège was one of these unfairly neglected perfumes. I rediscovered my bottle of Arpège this week and couldn’t get it off my brain. Out of all of the aldehydic florals (Nº5 and Nº22 etc) it is easily my favourite but it simply doesn’t get talked about enough, despite the fact that it radiates with cuddly, maternal warmth. Inspired by my rediscovery, this week’s Escentual column focuses on this most timeless of perfumes that seems to have aged rather well. If you’d like to read my review please click here to head on over to the Escentual Blog. Don’t forget to leave your thoughts about the perfume, whilst you’re there! Image via Escentual. I write for Escentual as their Fragrance Expert. I am affiliated with the brand but my thoughts are my own. Posted in Escentual, Lanvin, Perfume Reviews and tagged Aldehydic, Arpège, Escentual, Floral, Lanvin, Perfume Review. Bookmark the permalink. What a lovely gift to you sister! And I agree, Chanel has nothing on Arpège. I love the their aldehydic florals but they don’t have the ‘body’ of the Lanvin. It’s a classic indeed! Which reminds me, I’ve got to dig out the vintage parfum from somewhere in my cupboard… gorgeous stuff. Too bad Lanvin’s other offerings are kinda meh to me. Ooh, I bet the vintage stuff smells even better! I’m with you on the rest of Lanvin’s offerings. They’re definitely a bit ‘meh’, which is a shame when one considers how great the old stuff (My Sin etc) is. Oh yes I think Sarah McCartney was the one who introduced me to that. You’ve got to love Sarah! Last week I sampled a 1960s version of “Arpege”, perfectly stored and -In my opinion- not ruined, and found it quite different from the modern one….and this is pretty obvious. Sometimes I guess it’s more correct to change name, or simply to discontinue perfumes, or at least to add a reminder (“Arpege 2000” for example), when aromas are so different. Wow! I bet that vintage smelled fantastic. I get what you’re saying re changing the name but sometimes these reformulations are so frequent and gradual, I think it could cause more confusion for the consumer.